Is This the Last Nail in the Coffin? The Feds clearly wanted to crack the housing market, and they may have finally done it, with a sledgehammer. 1) Effective Oct. 17, the qualification rate will now apply to all high-ratio insured mortgages, even 5-year fixed terms. On Nov. 30 it applies to insured low-LTV mortgages as well. 2) Regulators are banning a wide array of mortgages from being insured, effective Nov. 30. One big non-bank lender didn’t mince words when describing today’s DoF’s announcement. “This is a crisis,” the executive told CMT. The lender estimates that up to 40% of its insured volume could vaporize near-term because of these rules. Even if it’s half that among non-banks industry-wide, this appears to be a devastating blow to mortgage competition in Canada. Background: Non-bank lenders rely on default insurance because it (in the DoF’s words) “supports lender access to mortgage funding through government-sponsored securitization programs.” Banks don’t depend on insurance to the same extent (at least not on conventional mortgages) because they don’t have to sell their loans to investors. You’d think that with such a drastic policy change that stakeholders would be thoroughly consulted. Nope. Lenders I spoke with had not even a hint this was coming. Housing prices will tumble as a sizable minority of first-time buyers and those with higher GDS/TDS ratios no longer qualify for the mortgage amount they want. Forcing all insured borrowers to prove they can afford a payment at the posted rate (4.64%) will remove up to 15-20% of buyers from the market, say lenders. Non-deposit-taking lenders could be forced to sell a wide array of loans to balance sheet lenders at a premium. They’ll be forced to pass those funding cost hikes directly through to consumers. These include refinances, amortizations over 25 years, non-owner-occupied properties and mortgages over $1 million—all the stuff that can no longer be insured and securitized. Broker market share will fall. It’s Christmas in October for the banks. Among other things, they’ll gain refinance, jumbo mortgage and rental business from the monolines. That business boost will reduce their reliance on the broker market. In fact, don’t be surprised if a Big 6 bank exits the broker channel by this time next year. Mortgage availability will drop in high-valued regions like Vancouver and Toronto and rates will rise nationally. This liquidity drop is partly because of the insurance prohibitions, and partly because of higher capital requirements for insurers. This latter measure was announced previously and is expected to take effect in Q1. Word on the street is that bulk insurance premiums (which average roughly 40+ bps now) could at least double. As competitors raise rates, banks will likely take that opportunity to hike their own rates. And they’ll probably do it nationally because regional pricing presents internal challenges. Banks will also have to qualify conventional borrowers at the posted rate on all terms. That suggests monolines could potentially be at a disadvantage for a while, unless OSFI encourages banks to adopt a standard 5-year posted qualifying rate sooner. Market share for near-prime lenders will rise yet again, especially for refinances. Consumers, of course, will pay significantly higher interest for these lenders’ flexibilities. There will be a mad dash to refinance under the old rules prior to October 17th, when the new qualification rate comes into force. Expect most lenders to stop taking such deals by mid-next week. We’ll start hearing more economists forecast a Bank of Canada rate cut due to the GDP hit from these rules. Two big pillars of Canada’s growth, oil and housing are now on the ropes. Non-balance sheet lenders could apply rate premiums to amortizations over 25 years since they can no longer be insured. That’s no small point. Mortgages with amortizations longer than 25 years accounted for over half of all portfolio insurance underwritten by CMHC through June. MBS yields will fall as supply drops and pool risk improves (more on that from Bloomberg). Yay, some good news in all this. In the long run, the DoF’s move adds housing stability (at what cost is the question). But most of the 70% of existing homeowners who value their equity may well curse regulators in the short run. Of course, the government also announced it’ll prevent non-residents from claiming the capital gains exemption—which is primarily targeted at Vancouver and Toronto. (This is a reasonable move. Here are more details on it). But this measure was a distraction from the other rule changes, and trivial by comparison. Non-resident buyers who buy to flip tax-free are simply not a major price driver nationwide. All of this adds to the layers of mortgage regulations imposed since 2008. And, to make matters worse for the lending industry, the Department of Finance has reaffirmed its decision to evaluate lender risk sharing. Charging lenders deductibles on default insurance claims could be an utter disaster for less capitalized non-bank lenders (and hence mortgage competition and consumers), depending on how it’s implemented. With mortgage tightening finally starting to impact high-valued markets, this new round of rules has come too late, with too little forethought and too many consumer repercussions. It’s effects are so wide-reaching, so sudden, that something has me thinking it’s a conspiracy against non-bank lenders. But no. I trust Canada’s regulatory system much more than that…I think. It would be interesting to know if the powers that be at the Big Six banks were blind-sided by the qualifying rate rule change – and more significantly the portfolio insurance rule changes – like the insurers and monoline lenders apparently were. Nothing says effective bank lobbying like reduced competition due to higher costs and lending limitations for smaller lenders. Ninety day arrears rates haven’t changed significantly in years. There are no signs of inflationary pressure to drive interest rates up by two per cent in the foreseeable future. Regional insurance rule tweaks would have been a far better option than taking a sledgehammer to a surgery. Im waiting for the movie on this one! Totally on the money Rob – well written article that gets to the heart of the nonsense perpetrated yesterday by the feds. The sad thing is, in an attempt to tame the beast they may well have unleashed the Kraken. Of all the changes the government has made over the past couple of years to curb housing prices, this may be the one that gets it done! For those buyers with less than a 20% down payment, this new policy could mean a HUGE difference in affordability. And the Finance Department just didn’t pick on the rich this time! Relatively speaking, everyone that needs Mortgage Default Insurance will be affected. What this new policy “should” accomplish, is that in due time, housing prices will have to adjust to the Buyer’s affordability. If the Seller wants to wait for someone to come along with 20% down payment, they may be waiting a long time. In order to sell their home quicker and open up to more buyers, they’ll have to reduce their selling price. As the housing prices get reduced, the government can then increase interest rates without the worry of destroying the economy. I think its great! Not for my mortgage business in the near future (LOL), but for the housing industry as a whole. Along with absurd housing prices, household debt levels were getting out of hand as well. It appears as though regulators decided to alter the demand side of the equation, which is far easier and quicker than tackling the supply side, a major issue in Vancouver and southern Ontario. Unfortunately for the majority of the country, excessive demand is not the problem. I fear that the oil patch may be in for another kick in the teeth. Having said that, I was always puzzled why borrowers taking out a 4-year mortgage had to qualify at twice the interest rate of a 5-year mortgagor. In addition, I have also been befuddled by the fact that the government sees fit to back CMHC mortgage insurance to the tune of 100% and Genworth and Canada Guaranty at only 90%. Time to level the playing field perhaps? The move to alter the qualifying rate makes sense but not at a rate that is more than 2x our current 5 year fixed rates. And yes I completely agree with your last point. It’s amazing that the summit itself was sponsored by a big red bank. I’m sure it had nothing to do with these rules. You mention non-bank lenders can no longer securitize refinances? Was that always the case or something that was newly enacted as part of these changes? I dont see that specifically called out, but rather exceptions to securitizing loans including that the amortization period must be 25 years or less, the purchase price is less than $1-million, the buyer has a credit score of 600 and the property will be owner-occupied. Insurance is required to securitize in CMHC-sponsored vehicles, like NHA-MBS. Unless a private residential MBS market springs up soon with competitive spreads (about as much chance as my Detroit Lion’s winning the Superbowl), monolines could be cooked in the 70-80% LTV refi market. Will they be able to keep selling refis to balance sheet lenders? In many cases yes, but capital ain’t free so banks will upcharge materially for this privilege. These new changes are being implemented to try and control the Real Estate market, notably in the GTA and Vancouver markets. These markets of course are not rising in value because of 1st time home buyers, who these policies will hit hardest, nor because of “Foreign investors”. The “Qualifying Rate” is an artificially inflated rate. The DoF is moving to hobble the industry that has fueled the Canadian economy and kept us from recession. A weak job market and a gutted oil industry, and now the attack on the housing industry (and Canadians home equity). This is a dire move by the federal government! Poor Sean sounds like he bought at the peak. It will allow the Big Banks a more competitive edge pushing out brokers and reducing the broker share… Now on the outside that doesn’t seem to be that bad to most unaware, but the broker share increasing in the last number of years has driven the cost of borrowing down for the consumer. As the banks have had to compete, they have had to lower their rates.. Reducing broker share and also increasing costs to the monoline lenders will increase rates by reducing the competitive edge that we have provided. Discounts to the “posted bank rates” only a number of years ago were from .50% to 1% now in today’s world this has been pushed to around 2% discounts.. Removing the broker share that GOC will be doing will put those discounts at risk… It also eliminates a significant portion of the market from being able to purchase in the non risk areas of Canada. Even with the 20% down our monoline lenders will need to follow the rules of using this higher rate because most of their portfolio is insured. Unlike the banks which are not always required to insure theirs. OFSI has not yet spoken to the BIG Banks about whether they will be required to use this risk management tool of approving using the higher rate. It will be interesting to see where that goes. *Rental properties done by monoline lenders will not be available. We have already seen them removed by one of our biggest supporters of rental properties. This will mean that the banks will be the only ones that can do them. Don’t you love that idea?? No competition.. Always bad for the consumer. Less competition to the big banks allowing their market share to increase at a cost to the consumer. My opinion may not matter but seeing it confirmed in this article really does scare me. I have been saying for a while that the Government is trying REALLY hard to crash our housing market and this may very well be the stick that broke its back.. Time will tell. Monolines generally had unfavourable policies on rentals (which are not a big market to begin with) compared to banks to begin with, so sure, the banks can do them. Oh I agree they are not intending to make the market crash. That was a factious comment. The unintended consequences will have major implications across Canada. I agree that the government is responsible for coming up with changes that works both directions. Not an easy position for them to balance a couple of hot markets with the rest of Canada. But it is unnerving to consider that one of the consequences will be a drop in property values. In parts of Canada that have more realistic values this is quite the impact. What other unintended consequences will that have? What unintended consequences will limiting the abilities of monoline lenders to access funds have? p.s. Rentals with Monoline lenders were not that unfavorable. Maybe not a big seller but for the small investor a good option. Of course, the market crash isn’t the intention of these rules. But when even the greatest intentions aren’t thought through carefully, the consequences are easily predictable. This time it’s extremely accurate to the saying goes, “the road to hell is paved with good intentions”. The 1-st time buyers segment is going to be hugely affected by these rules, as well as the competition in the mortgage market. The problem is that general public doesn’t even comprehend the benefits brought by the competition among lenders and brokers. Now, when competition is strangled the banks are going to be the only ones left to rule the industry. The majority economists who favored tightening the mortgage rules are employed by the big banks. Just google their articles, etc. We, the Canadians, like to complain about the lack of competition and high prices in the cellular and internet industries. Now, we will complain about the lack of competition in the mortgage market. So the question is who is the ultimate winner after these rules come into the effect?Please do think about it before commenting/replying. As someone had mentioned the government is going to use a sledgehammer to fix the problem with some over heated markets. Being in Southwestern Ontario we are just seeing a revival of the housing market from the “plunge” that took place in 2008 and 2009. Some lenders still won’t touch this area and I fear that we will be pushed backward once again. I agree with the comment from Tyler Hildebrand in the article about this being a regional issue. The current government is showing they don’t have a feel for this segment of the market just as their predecessors didn’t. Seems to be sledgehammers flying around everywhere lately…. If they’re aiming for a slowdown, seems like they’ll get it, although I have to say most of the changes make sense to me. No default insurance on rental properties will have minimal consequences, but I’m sure this will be a driver for an increase in intended use fraud. I do find targeting insured refinances perplexing…. This will certainly curb the ‘your home is an ATM’ mentality fostered by the industry (broker and bank alike), those who rely on churning for income will be weeded out quickly. Yes Rob, it does feel “like a conspiracy against non-bank lenders”, I’ll add brokers to that. Borrowers will have to head back to the same Big 6 for their HELOC’s (the never-never-plan). Meanwhile monolines, who are largely funded by those same Big 6 and rely on default insurance at all LTV’s, are going to be hit hard by this. This could end in thousands of job losses on both lender and broker sides. Another nail, but I think far from the last. 1. This isn’t a move by the banks to shut us down. As a matter of fact, the ‘big 5 banks’ are the biggest funders of monolines of the mortgage industry – RBC is the biggest by a long shot, and you’d be surprised to know that National Bank, BMO, TD, and the others are the major funders of the mortgages clients get through monolines. There’s really only a handful of major MBS issuers in this country, and that’s where the money comes from for brokers to offer mortgages – if the banks wanted to destroy the broker industry they could just pull their funding out, increase advertising and competition, drop rates, and increase their sales forces to shut us down, but this is a very good and profitable industry for them – they get to fund a guaranteed $X Bn annually at wholesale prices. They don’t have a major incentive to want to shut down the broker industry – we are simply another channel to fund mortgages. Banks aren’t as stupid as we’d like to believe they are. What they aren’t, however; are good at specialization (contrary to the banks in the US), and are generally somewhat inefficient – see how First National now manages the underwriting for TD, etc. 2. But why not target credit card debt? Sure – we can suggest that the regulators take a look at credit card debt, vehicle loans, and so on, but that makes up a small portion of the financial system, and a default on credit card debt is borne by the issuer, not the taxpayer, so the risk doesn’t fall on the government to regulate it (and further, to us, the taxpayer). Credit card debt accounts for less than 5% of total consumer debt ($77Bn of credit card debt to a gross total of $1.933 trillion – $1.3 trillion is mortgage debt), and allows the financial system to maintain liquidity, whereas the housing industry is not liquid and a major default in the housing system can halt an entire economy (need we recall the events of 2008?). 3. The big assumption is that there will be a shift to ‘balance sheet lenders’, but the problem with a balance sheet is that it’s not liquid, and banks don’t typically like to hold on to large amounts of debt that they can’t do anything with – mortgage insurance is the answer to that and allows the banks to maintain liquidity through securitization. So there is an advantage to a balance sheet lender, but it’s not reasonable to think that banks are going to want to load their balance sheets up with the mortgages they can’t securitize. It’s not a good use of money. Nobody was complaining when business was plentiful 12 years ago when the government was stimulating home purchases with 100% Financing, 40-year amortizations, loose qualifying, etc. What we are faced with is a generation of home buyers who have all purchased homes with record low interest rates which have helped drive prices up, and when those rates rise it could cause a massive system failure if the general population cannot make their mortgage payments, and at the same time cannot unload their homes because values have dropped, or because there aren’t any buyers in the market – very simply the DoF is trying to be proactive to avoid what happened in the US almost exactly 8 years ago. It is reasonable to think that rates won’t rise by 2%+ over the next few years, but, it was also reasonable to think in 2004 that the entire US housing market was the strongest, safest investment in the world. The difference between our system and the US, though, is that taxpayers are on the hook for a default in the market on insured mortgages, so, we’re in essence being protected from ourselves. 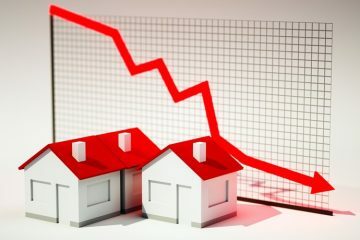 A ‘stress test’ is a very reasonable measure to implement in order to ensure that any homeowner these days can afford a minor increase in rates in the coming years (and at the end of the day, an increase in rates in general is a good thing as it signals a healthy economy). In spite of the regulations over the past 8 years, the mortgage industry (and the broker share) has shown remarkable growth in the face of new regulations over the past few years after a bit of a contraction in 2008 – in 2015 the brokering industry funded around $86Bn in loans (with an average size of $200k, that amounts to around 285,000 transactions), which was up $20Bn from the previous year. Approximately 30% of that was funded by the major banks who operate in the broker channel. I don’t have exact statistics, but I’m hard pressed to believe that the mortgage brokering industry funded $86Bn of mortgages specifically for new home buyers. So it’s gonna slow down a bit, but there’s still business to be had. What will happen to home buyers? And new home buyers? Well, they won’t be able to borrow as much on their mortgage in 2 weeks as they can today. That means one of two things – more people will have to come up with a bigger down payment to support current home prices, or resale values will stabilize, or come down to allow buyers to purchase. The general rule is if you’re within the median income range, you should be able to purchase a home in the market where you earn your income. If you earn less than the average, you will have a harder time. This highlights the issue in Vancouver – the average borrower was struggling to afford a home and was stretching to make a purchase, and the average purchase prices of homes do not support the average incomes of Vancouver residents – the median family income is around $76K and the average prices is $820k, whereas in Calgary the median income is $101K and the average prices is $465K and a little more balanced – it’s simple supply and demand. So when the average family can’t afford a home, housing prices must fall into line with the affordability of the general population at some point. First time home buyers are generally a bit cautious, so they will either want to wait or buy a little less. So, the market will slow down, but it’s not going to come to a grinding halt, and once we see a bit of normalization it will pick up steam as it tends to do. Lastly, as a comment for brokers who feel the end is nigh – it’s anecdotal to look at your book of business and contrast that to the entire housing industry. Keep some context and try to keep your eyes on what’s happening in general, in your market and remember that people will always want to buy homes, and the market forces will generally prevail in order to allow the housing market to continue. This may be the only nail that is needed from the perspective of mortgage brokers. This is a very real crisis for monolines, small banks and trusts. Take away 30 year amortization, the ability to write any debt consolidation refinance business and no rentals and where exactly does that leave our lenders other than the 3 banks in our channel? How do you operate a business just on hi-ratio purchase? Oh, and BTW bring in “risk sharing” on insured mortgage defaults and I guess all that is left for “A” clients in Canada are the Big 6 banks and the credit unions because monolines cannot handle the capital requirements for “risk sharing” period. Mortgage professionals: contact your associations, contact your super broker and network head offices, if you know someone in media contact them, if you know someone in the government make your voice heard. Set aside the question of slowing down the housing market, lets worry about a vital industry that has delivered value and competitive rates to Canadians for the last 25 years: Us!! the mortgage brokerage industry!! Make no mistake, by mistake or purposefully these rule changes strike at the heart of our world. Speak up. Press for action. This is big, take the time to do something, anything is better than nothing. Mortgage Lender: no debt consolidation mortgages, no 30 year amortization on any product and no rentals from anyone but the Big 6 banks and credit unions? Please, a sober second thought here, we are not talking abut putting brakes on a housing market, it is the governments duty to try to influence a housing market advancing at a dangerous pace.But what is sense in penalizing one side of an industry and leaving the other side unfazed? Right on Ron. This is what’s frustrating from a mortgage broker’s point of view – AND it should be from a consumer’s point of view as well. Less competition means higher costs for the end user. I suppose that there are certain levers they have available to pull, and insured lending is the big one, obviously, because they control CMHC. They can’t choose to protect an industry (monolines and the broker industry) at the expense of the greater good. Personally, I would opt for regulations that affect the entire lending industry (as I favour monolines), but the government doesn’t really have the ability to do that. I do think that this is negative for the broker industry in general and it will make brokering tougher than it’s been in a long time, but the industry is resilient and what I was trying to touch on was that in spite of the increased regulatory environment we’ve faced over the past 8 years the industry has continued to grow. The unfortunate thing is that in spite of 8 years of increased regulations, it still hasn’t stopped inflationary-type situations from happening (2013/2014 in Calgary, recently in Vancouver and Toronto), so.. are these measures necessary? Maybe, or maybe they’re a bit too tough. But the alternative would be worse (as a whole, not for an individual broker who is going to lose a bit of business). This isn’t going to completely put the brakes on the market, by any means. There is no question the government has a duty to protect our country from run away property value increase and by all means pull those levers. 5 – year fixed rates qualifying at 4.64% for all lenders is just fine by me. But using the excuse of better managing insured mortgage sovereign guarantees to impair monolines, small banks and trusts in their operations without making change to what the Big 6 banks can offer is fundamentally non-competitive and will only harm Canadians. Why restrict small lenders from offering 30 year amortization? Why not restrict all lenders? Because it bad politics, voters will remember a change that they did not like. But bury the loss of 30 year amortization from a small group of mortgage lenders and there will be no backlash. Except that mortgage rats will gradually rise and the lenders that consistently offered lower rates will be hamstrung. There has to be a fairer way to pull those levers that will protect Canadians from runaway property inflation. I don’t disagree with you totally, Ron. I suppose that consideration goes back to the third point in my original post, and my thought (based on what I know from having worked at various banks, now at a monoline) is that they’re not going to want to arbitrarily load up their balance sheets with 30-year AMs, refinanced mortgages, and rentals, because they now have exclusive access to those parts of the market. Banks in general must prudently manage their balance sheets, and to some extent these products have been deemed risky for various reasons. More than anything, the win is going to be for Alt-A lenders who can now lend to clients who are Almost-A. THIS POST IS NOT GOING TO BE POPULAR WITH THOSE IN THE HOUSING INDUSTRY, HOWEVER, it seems like the knee jerk reaction is to RUN OUT AND BUY A HOUSE in the next 13 days! That is the last thing I’d be doing right now! With this new policy, housing prices WILL fall in the next 2-4 years. Meaning if you purchase a home now with 5% down payment, in 2-4 years time, you’ll owe more than what your house is worth! If you do decide to purchase a house, you better make sure its a home you’ll be staying in for at least the next decade! Sorry Realtors, Mortgage Brokers (me), House Inspectors, Appraisers, Lawyers (well not really lawyers – kidding, just kidding!!!). What happens to a fella who has to renew a 30 yr amort with their monoline lender? Renew it and get your trailer fee. They went too far taking bulk insurance away from refinance transactions. That is such a broad stroke and will force existing mortgages to the banks (eventually everyone wants to take equity out, for one reason or another). Monolines will not survive losing refinance transactions, and brokers will become bank employees by another name. Mortgage brokers are generally a very resilient group that adapt to change pretty quickly even when the changes in government policy seem onerous. We should look at these changes as an opportunity to expand our business and explore where we can excel. personally we will concentrate on approaching builders to offer them a 2nd mortgages scenario to help their home purchasers to avoid CMHC. Convince your private lenders that the safest mortgage investment is for home purchasers not refinances/consolidations and you will have a large pool of private funds to cover the gap between 80% and 90% on home purchases. You should be able to offer a reasonable rate on the mortgage and compensate the lender by charging less than the CMHC fee that the buyer would have paid if he/she did qualify for a CMHC insured mortgage . Many brokerages like KCR specialized in 2nd,s in bygone years. Check your book, what percentage are refi’s? Those who are highly reliant on these for income will hurt and, for those who refi prior to maturity (churn), this may be better for the market and borrowers – do you realize how much it costs a lender (indemnity) when you pull a loan from a pool prior to maturity? If not; you are non-profitable and hurting your lender (AKA your business partner). If you do; why are you doing it? Like many have said; brokers are a resilient group, we’ll adapt and continue to provide our clients great service and diverse product options. Some monolines will be hurt but those who have diversified income streams, clean books and investors banging on their doors will continue on. If anything, we’ll see innovative new products offered. Maybe not at today’s ‘prime’ rates, but it hasn’t been that long since 4-5% was a great rate. But, it’s all speculation right now. Lets wait until the dust settles before jumping to conclusions and remember; don’t dig your heels in, be agile. Our “diverse product options” just became severely less diverse. And you seem happy that clients will be paying double the lowest rate. Question for the experts here. What is to stop the big banks from reducing the posted rates and thus reducing the qualifying rate to take the sting out of these regs? The BOC posted rate is the MODE (most common number) of all the banks’ posted rates. To make a a change they would have to collude. And we know they would never do that. More importantly, they use the posted rate to drastically increase the penalty charged to borrowers trying to break out of fixed rate mortgages. Higher the posted rate, higher the penalty. Came across another Bloomberg story for Vancouver’s real estate. The chart shows it takes almost 40 years of rent to cover the current prices for a condo in Vancouver as an example. The real estate will take down a number of people as well as taxpayers. The “Qualifying Rate” set by the BofC which averages out the Big Bank’s posted rate can be reduced by the Big Bank if they chose to do so. The reality of the matter is that the qualifying rate is utilized to calculate penalties…chances of this being reduced is minimal. This means we can’t buy the house we like. Will the bank allow us to have a cosigner so we could still get our preapproved mortgage amount? Will the bank allow the release of the cosigner after? How does it work? Refinancing? Party is over. Bye bye marginal buyers. To all of you have a vested interest in the market, the 15 year+ run has served you well. Cant imagine you being all that upset? Rob – Good site with very informative information. I like the comments regarding marginal buyers being priced out of the market. No, only temporarily priced out, until the market corrects to the point where there are buyers once again. That’s how supply and demand works. This is also the government’s plan. This isn’t just a regional problem as so many here claim. On average Canadian houses cost twice as much as US homes, yet wages tend to be lower in Canada. Right there, if you are not being blinded by self interest, you realise there’s a problem in Canada. Sure, the problems in smaller cities may not be as acute as they are in Toronto and Vancouver, but there are still problems with affordability nonetheless. Imagine if mortgage brokers and other lenders didn’t have the taxpayers to take on most of the risk via CMHC? Lenders wouldn’t be lending to 90% of the current borrowers. Mortgages brokers why don’t you guys take on the extra risk? Oh you don’t want to lend to risky borrowers. Fact is without taxpayers taking all the risk no borrower would qualify in today’s housing bubble and prices would crash over 50% overnight. I’m not sure what you’re suggesting. If I was a bank, I’d get your argument. But as a broker you expect me to take on the risk? So you want me to put my assets up as collateral to offset the risk of my borrowers? How does that even make sense? Oh, this is a great thread! Lenders are assuming the risk, and being rewarded. Brokers are assuming no risk, but being rewarded (yes, less than the lender). Share some more of the reward and I’d be happy to held more accountable. I wonder how the new rule complies with Competition Act. This will have little impact on the overall market of the GTA and surrounding regions. Majority of the buyers ARE NOT first time home buyers nor high ratio buyers. The DoF only announced a change to insured mortgages which is only a small portion of buyers. Most buyers with less than 20% will not be buying million dollar properties but instead condo’s or town homes far north of the GTA…. Majority of home buyers are putting down more than 20% and avoiding CMHC/Genworth.. Banks will still be qualifying these buyers with the 5 year (fixed) discounted rate as they are not insured…. This is simply trying to control demand when their is little supply. **Also, foreign investors are purchasing and holding – most are not selling… Foreign investors will still be dominating area’s like the GTA and York Region… The government will for-sure follow Vancouver and place a foreign buyers tax, its a matter of when, where and how much as it may apply to Toronto, or the whole province. If you ask me, its a little to late to engineer a market correction as prices have surged too quickly… We will need foreign investors when the market naturally corrects. This change is going to literally make me lose hard earned RRSP money I just used to put down a 5% deposit on a place that’s being built, that was affordable, and now due to the changes I will likely lose. I’m single, can’t take advantage of tax breaks like married couples do and now am screwed because of this government. Years of saved money, lost!!!! All because I had pre-approval, a letter but not formal approval – waiting until a month before possession to formalize the mortgage docs (next June). What’s the government going to do?! Reimburse my losses?! Not likely, they’re going to say too bad for you. If this is happening, I’m leaving the country and they’ll never see a dime of my tax payer money again. That is a really crappy situation to be in but that’s why it’s called the real estate market, just like the stock market. Putting 5% down is risky, that’s why i haven’t pulled the trigger myself. Hi Rob, thank you for being on top of this and providing your insight. Do you have an opinion on when the non bank lenders will start to qualify refinance applications according to the new stress test rules. In your opinion will it be on October 17th, November 15th or November 30th? Essentially when will people lose access to the 30 year amortization with non bank lenders and have the ability to qualify using the fixed rate. The date for changes to the low ratio insurance requirements is not that clear. Lenders who insure their mortgages will have to start testing applicants at the greater of the MQR (currently 4.64%) or the contract rate, by Oct. 17 at latest. A number of them could implement this policy by next week. I’ll touch on the 2nd point in tonight’s story. Canadian lenders are responsible for this calamity! All lenders should demand at least for 5 years of CRA’s NOA, proof of history/source of savings and other pertinent information for their analysis. Further how can a 50 years old buyer can borrow money with 25 Years mortgage as their income significantly drop during retirement? There should be 25% usual withholding taxes from the sale proceeds and remitted to CRA. Sellers can apply for a refund providing their information (SIN, residency. tax status) to CRA and this will prevent foreign buyers get away from taxes and 2nd and 3rd home sellers avoid/delay paying taxes. CRA should have a specialist department to handle, process, review and refund of taxes. History of savings, proof of savings/investments, history of taxes paid on investments at least during the last five years will provide a clear picture of borrowers true financial standing. Government has to act to protect business practices, provide a better financial services environment, prevent certain fraudulent acts/malpractices that may harmful and destabilize the economy, put an end manipulative and deceitful practices, ensure to collect taxes and share information of foreigners’ financial dealings to their native countries Revenue authorities to create a better environment for all. Party is over for all greedy property investors. Well you got your houses and a mortgage that is more than the value of the house. Prices will fall, since less people will qualify for mortgages due to overheated house prices. It’s a small correction & a 15% foreign buyers tax in Toronto area would be ideal.